A new educational iPad app from Denmark which is revolutionising the way young children learn to read has been launched in the UK. Write to Read is aimed at children aged 3-10 years old, and is already the best-selling iPad app in Denmark. 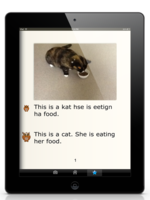 Invented by a Danish primary school teacher and developed in conjunction with scientific researchers from the DanishSchool of Education, the Write to Read app is based on a novel ‘write to read’ approach to literacy. Traditionally, children learn to read by first learning all their letters and sounds. Write to Read turns this concept on its head – encouraging kids as young as three to write stories about things they love, and with a little parental help, learn to read in the process. To create their own book using the Write to Read app, children first take photos or upload images of their favourite things to the app. Underneath each picture, they try and type a simple sentence, guessing how words might be spelt. As they type, they can hear the phonetic sound of each letter. A parent, carer or teacher then re-writes the text, helping the child see any spelling mistakes. For very young children who cannot yet recognise letters, there is a recording function through which they can input short sentences and start to see how words are formed. Once the book is complete, children can share their stories with relatives or friends by email. 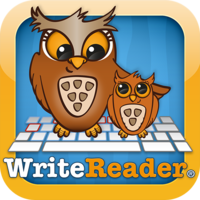 Write to Read app is available for iPad only and is now on the UK Appstore, priced £4.99. "“Our research shows that if a child starts writing and experimenting with words from an early age, their reading skills improve much more quickly. We wanted to create something of real educational value, but also fun and easy to use – both for young children and their parents. The beauty of this ‘write to read’ approach is that it unlocks children’s creativity and gets them excited about producing their own stories to share with others, rather than simply being passive consumers of other people’s creations.”" Janus Madsen, the 41 year old Danish primary school teacher who came up with the idea for the app.